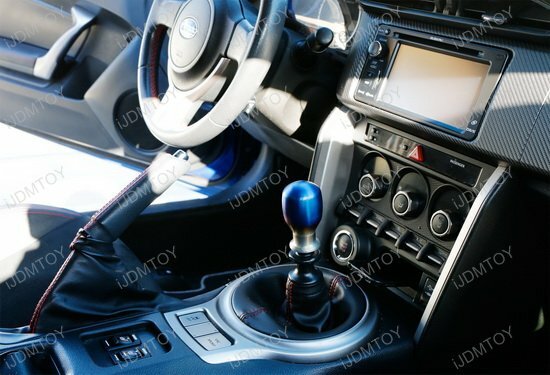 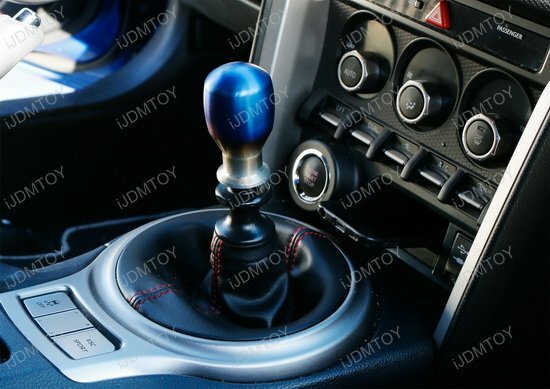 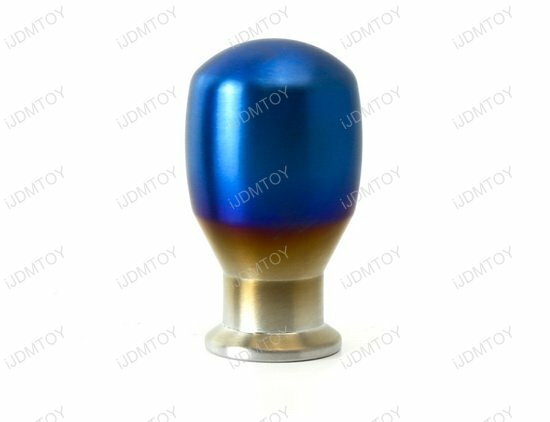 This page features the universally fit tear drop shaped JDM burnt titanium finish shift knob, which fits most 4-Speed, 5-Speed, 6-Speed, and automatic transmission vehicles. 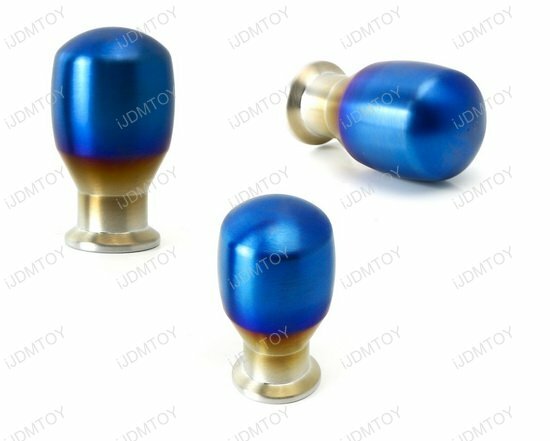 If you're someone who likes the chill look without anything too flashy, the burnt titanium finish (non-mirror style) will probably be your top choice. 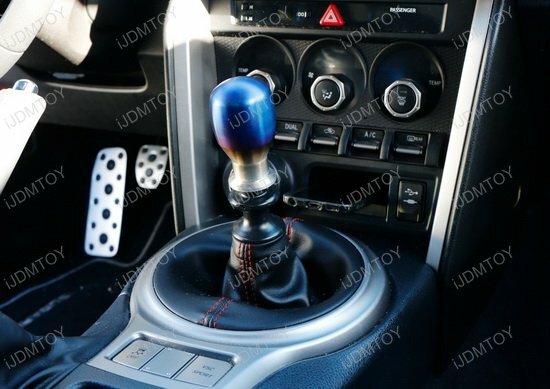 This shift knob is a direct replacement for the original button-less manual/automatic shift knob with no modification required. 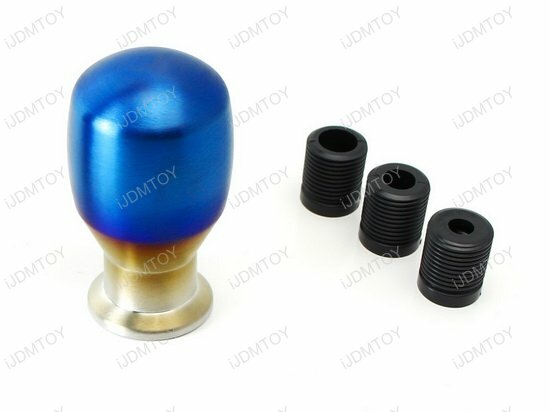 There are several screw thread adapters to allow it fit the following thread sizes such as 8x1.25, 10x1.25, 10x1.50 and 12x1.25, etc.